A floor that's easy to clean, is safe and comfortable to play on. That's what you need most for a kid's bedroom. Add finger paint and glue to the usual dirt and mud that comes with any healthy childhood, and you have a recipe for a heck of a mess. Don't worry, theses floors are up to the challenge. Carpet is a good choice, believe it or not: Definitely go for better nylons with stain resistance for protection against spills and stains. Also consider spending extra for soft carpet since kids end up spending a lot of time playing on the floor. The sound dampening qualities of carpet are something else you might appreciate when the neighborhood kids stop by to play. LVT/P and WPC are next on the list simply because of unbeatable performance features while still providing some softness underfoot. You won’t have any worries whatsoever about spills, stains, scratches, scuffs with a vinyl floor. As well, there are plenty of style options, including more whimsical looks appropriate for a child’s bedroom. 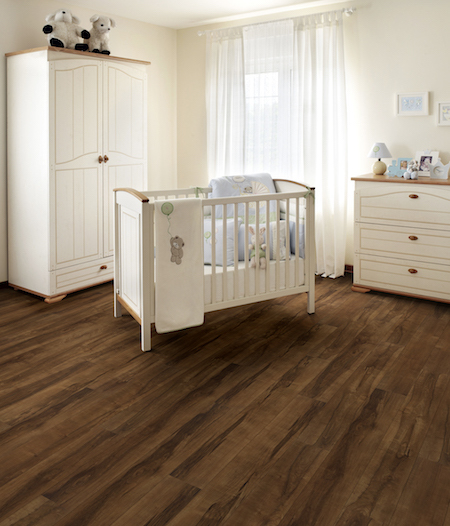 Laminate is a great choice for its fantastic performance and very realistic looks. Ranked here in the number 3 spot, laminate could easily be number 2, depending on your individual preferences. Cork offers similar performance as laminate flooring but with additional sound dampening qualities you will come to appreciate more and more. Sure, you can choose hardwood, and it will stand up to normal wear and tear. But scratches, gouges and excessive wear can take their toll on hardwood flooring. 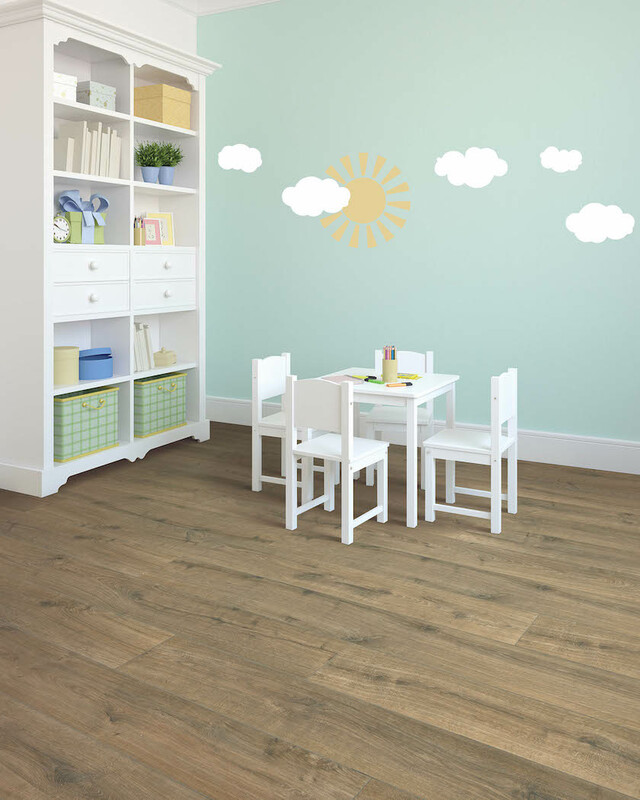 LVT is perfect for kids' rooms.